Beer blogging from South Wales. Photos and reviews of beers, now focusing on Welsh beers and breweries. 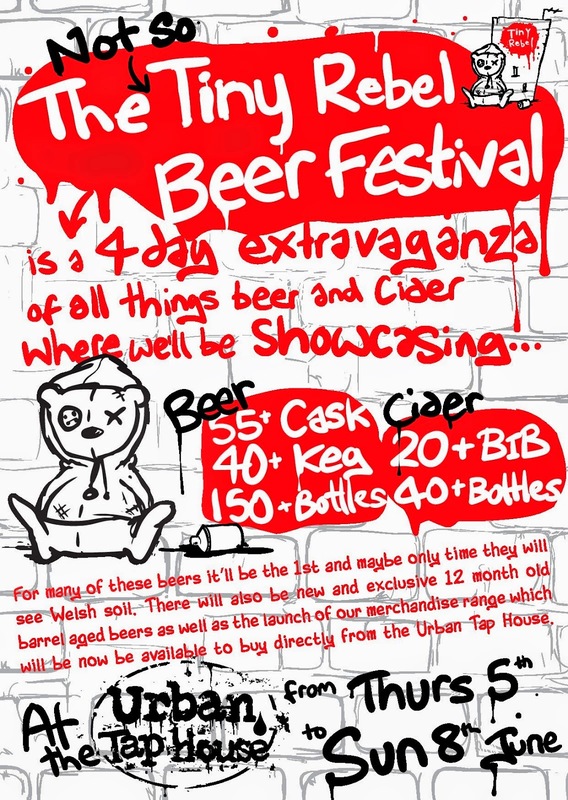 The first weekend of June had great weather and Cardiff hosted two beer festivals, namely the CAMRA Great Welsh beer and cider festival, AKA W-Ales 2014 festival, and at the Tiny Rebel bar 'Urban Tap House' hosting their own one. Gold medal for best Welsh beer as voted for by CAMRA, going to the Tiny Rebel beer 'Fubar'. Personally I feel this is really quite important for the Welsh brewery scene, their clean sweep of the top awards last year was amazing, but I think taking the gold for a second year is even more so, something blogger Chris Hall also succinctly points out in his review of the day and the Welsh scene. I was worried that last year could easily be seen as CAMRA giving a slight nod towards the microbrewery and craft market, a slap on the back for Tiny Rebel, and then awarding this years Gold to, say, Evan Evans for 'Boring Brown', a dishwater bitter at 3.3%. The heaving Evans Evans bar. Other bars had the customers. But retaining the top award hopefully acknowledges the ever growing small brewery culture that's booming in Wales. With Tiny Rebel, Celt Experience, Waen and Otley leading the way, numerous new breweries are making a name for themselves also, Heavy Industry and Grey Trees to name but two. A measure of the number at this festival was that this year ALL the beer's were from Wales, usually they are from all over the UK, but now the industry is large enough to support and supply it totally, which is fantastic for the country. About 1pm Friday, roof off. I'm not going to do a complete review of all the beers I had, more a pro's and con's of the day, and I'll split it into the two festivals separately. Starting with the big one, at its new venue the Millennium stadium. I'm still undecided about the choice, it had loads going for it, the size, it was lovely, cool and airy. The huge amount of seating was appreciated. The roof was open to start with but closed at some point and we never noticed! The layout was fine, alot more breweries had their own stands, emphasing their branding and beers. It did mean some of the other casks kind of got lost behind all this though. The two bigger boys, Brains and Evan Evans had been pushed out on the sides and seemed a bit detached, although the Brains one was busy enough as the day went on. However I got a real schizophrenic atmosphere in there as the day went on. Someone had just picked up a festival and dumped it into the place, it felt like it was uncomfortable, maybe the venue is just too big?? Perhaps some of the elements out of Camra's control added to that, such as the corporate advertising on the big screen, and the Heineken area. Yup, in a Camra festival you could get your cooking lager fix!! Foster's stand, next the Heineken one. Out of shot is the Molson Coors one. As my friend and I discussed, it's probably contractual stuff with the stadium itself and Camra had no say in their presence. No foreign beer bar this year either. Was that the same for the food stands then? The 'international street foods' was hugely disappointing for a festival of this size.. A hotdog stand, burger van, crisps stand and I forget the rest. I'm sure they were all very nice and good quality, we bought Pipers crisps, but so limited in overall food choice. What about the beer then. On walking in (£10), clutching my plastic glass (which cost my friend another £2), the Celt Experience bar was right in prime position so I went straight in for their Castle Coch, 4.7% a red coloured bitter, lovely and lemony, creamy and fresh. Great start. 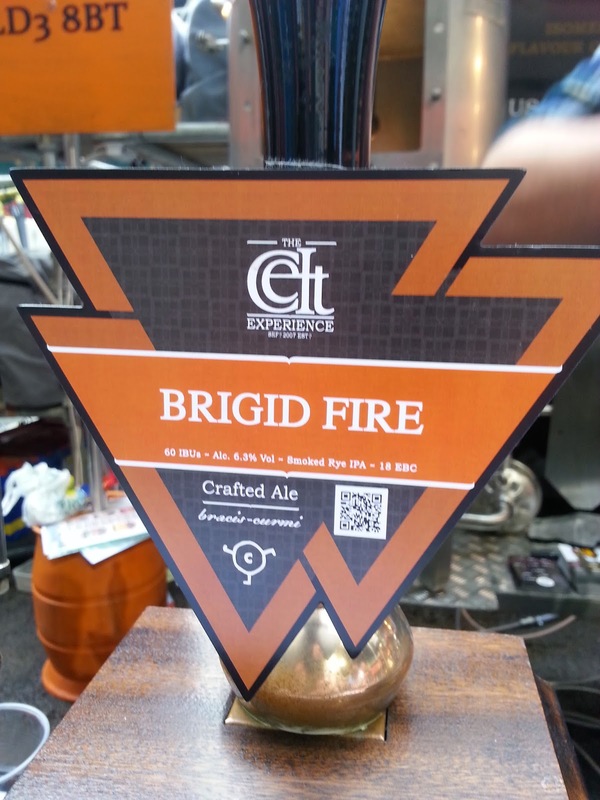 Later I went back to them for the Brigid Fire, a 5.6% smoked rye beer, 'brewed with oak smoked wheat and borrowed Biere de Garde yeast Dry hopped with Nelson Sauvin'. This was fantastic, pine full on, great smoked and big bitterness. Other highlights were Grey Trees and their 5% Black IPA which was excellent, really juicy and spicy. 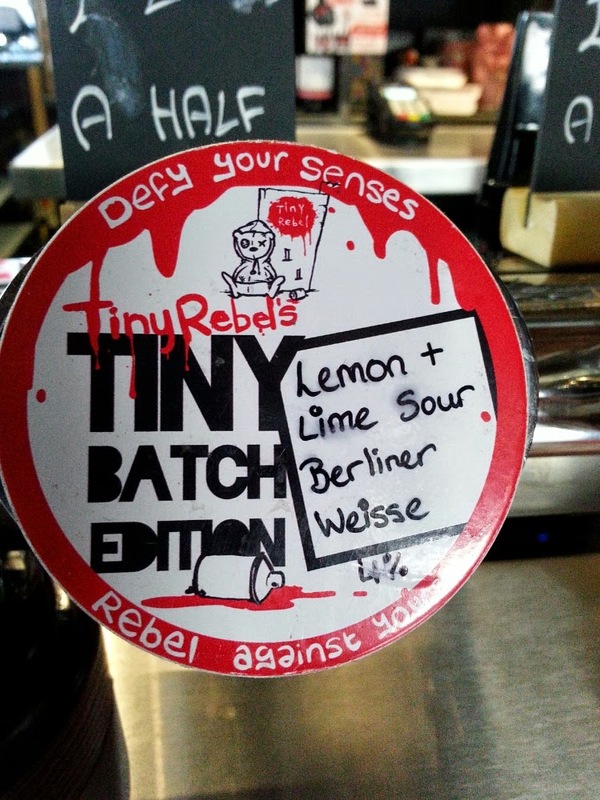 Tiny Rebels 'One Inch Punch' a 3.9% 'session IPA' is brilliant, balanced and well worth looking out for. My friend is not big on strong darker beers but we were both equally impressed with Zero Degrees and the Imperial Russian Stout, 9.1% as our last beer of the day there. Otley impress again, with their Sakura 4.8%, a Belgian wheat beer with cherries which were so ripe and funky it zinged and remained fresh. Loved this one. My favourite beer of the day inside the stadium was by Brecon Brewing, their 'Dark Skies' from the Genesis series.This is a dark Saison made with raspberries and vanilla sea salt. Sounds weird but is great, the musty and funkiness hit with the tartness form the raspberries, to be backed up with sweet notes of vanilla and a good body and carbonation. Onto the Tiny Rebel festival then, or rather lets start at it, which is what we did. Meeting up at the Urban Tap House opposite the stadium for their 4 day festival seemed absolutely logical, just up from the train station in Central Cardiff. We planned for a couple of hours here first and then onto the W-Ales one. Where to start? They had so many good beers on, stillage in one end of the bar area, a rotation system on the taps and pumps with a list provided so you could judge when a particular beer was on so you could look out for it rather than it appearing randomly at the next available tap and you miss it. The beer's currently on was listed on the TV screen to help also. I thought I'd start with something to liven and refresh the palate and the Tiny Rebel Lemon and Lime sour Berliner Weisse (4%) sounded like the one for the job. And it certainly was. Wow. Crisp and lively, the lemon and lime zinging around, sherbert, and a tart and dry end. Excellent, my friend tried it and went and got his own one. It was the first of the day and I dont think any bettered it. I think it also started a taste for the tart, the sour and the fruity that day, several others I bought went down that route. After that I went for the Magic Rock 'carnival' which was okay, and then we shared one I'd seen other bloggers talk about, Kernel's 'London Sour'. Certainly more sour than the Tiny Rebel Berliner, but theirs had the delightful lemon/lime combo, the Kernel had that green apple element, dry and slightly salty, slight carbonation. After we had been to the stadium for several hours we started to miss the Tap House, as I said before the atmosphere seemed odd and we both kinda just wanted to go back, we'd seen beers there that we really wanted to try, and this was over the vast choice in front of us. So we did, and whilst I tried my Birrificio Italiano 'Nigredo' we wondered if the money spent on getting into the W-Ales festival would have been better spent in staying at the Tap House. Getting into it cost me a tenner, my non Camra member friend £12, which seems an awful lot for this festival, especially when you consider that the Great British Beer Festival pre-ordering tickets now costs £8 this year, has over 3 times as many beers (900+), and has got to have better food options I imagine. 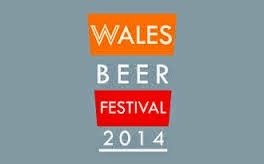 But overall we had a great day, some really great beers, and the futures bright for Welsh beer. This is still something I still haven't had the opportunity to write up; June has been a black hole month for me, with very little beer related writing or reading going on. Now that I've escaped the event horizon I find you and Chris have perfectly summed up everything I experienced. 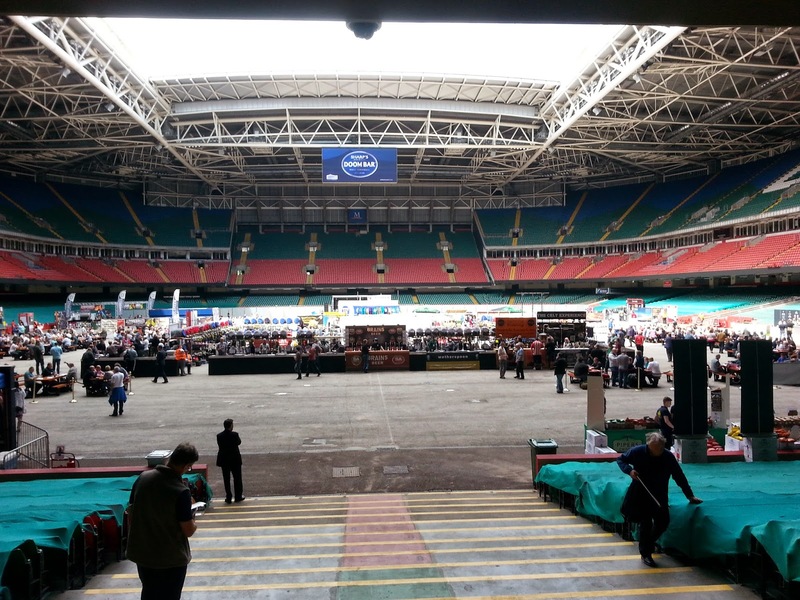 I may yet do a quick recap on my blog so I won't labour the point here, but I think for the first year at the Millennium Stadium the festival did really well, with plenty more room to grow as the Welsh beer scene also continues to grow. Sticking points were as you said, shocking poor sense of value for money (ticket + glass + programme and then the rest...) and boring food options. I know a guy who knows the ground rent they were charging stalls per day, and I want to pick up some physical evidence before I quote those in print, but it didn't sound cheap. So local street food artists native to Cardiff like Rollin' Hot Dog Co, Got Beef and Hangfire Smokehouse were just priced out of the arena. It was good encountering new guys Heavy Industry and Greytrees, while Zerodegrees seem oddly keen to up their game. Meanwhile, Tiny Rebel and Celt Experience go from strength to strength. I didn't see much of the Waen stuff there, but with the Gravity Station over the road maybe I wasn't looking for it. It's a winner in my book, providing they achieve a better sense of value (either make the £10 entry include the glass and programme) or throw in a few beer tokens, and ensure there's more food. I suspected the lack of food vendors was probably for the reasons you think too, it'll be interesting if you find out more. I was impressed by Grey Trees, beer and image well done. But the cost was the main cause for concern for me, as you say, value for money is important. Espically as Tiny Rebel put on such a good effort and next year Brewdog Cardiff will be established and probably looking for their cut of the market too. Greytrees are doing a meet the brewer in City Arms this month, July 22nd I think. Don't quote me on that, may be best to ask the City Arms twitter account. Speaking of which, I finally set up one this week! Latest stuff to read when you should be working. All my photographs are my property, if you wish to use one please email first and always give credit. Tiny Rebel make it two in a row!